Discussion in 'News and Announcements' started by Overwatch, Jan 25, 2016. We've updated a few things on Tactics, below is a brief overview of those updates we've made. But I'll list some changes off too! All the changes that have been made are to improve your game play experience, we've made it a lot easier for people to understand the interface. - Arrows to prompt you where to go. For example an arrow might appear when a specific mission objective has been given to you. - The Harvester will pulsate when it is ready to harvest. 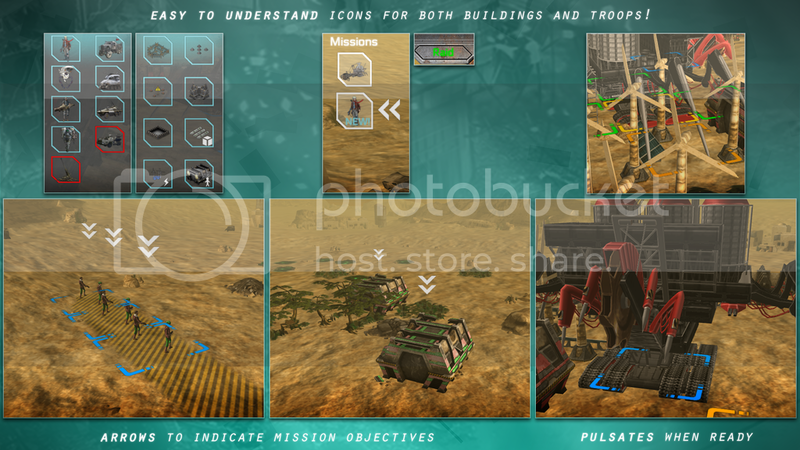 - Icons for both buildings and troops have now been improved, they're now represented clearly so that every one can understand what they are. For example the power plant has a 'bolt' symbol over it to represent that it is used for power. - Buttons like the 'Raid' button for example will glow white when they're available to be selected. We do hope you like the updates! I personally think they're an awesome addition to the game and make everything a ton better. Go and play the game for yourselves and have a look at the updates!